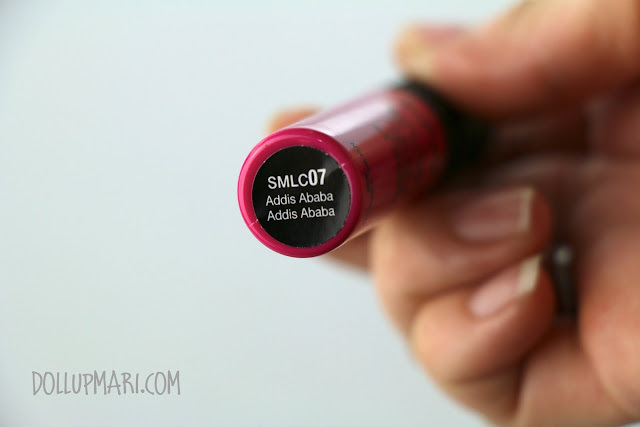 This is the nth installment of soft matte lip cream week! This shade is Addis Ababa. 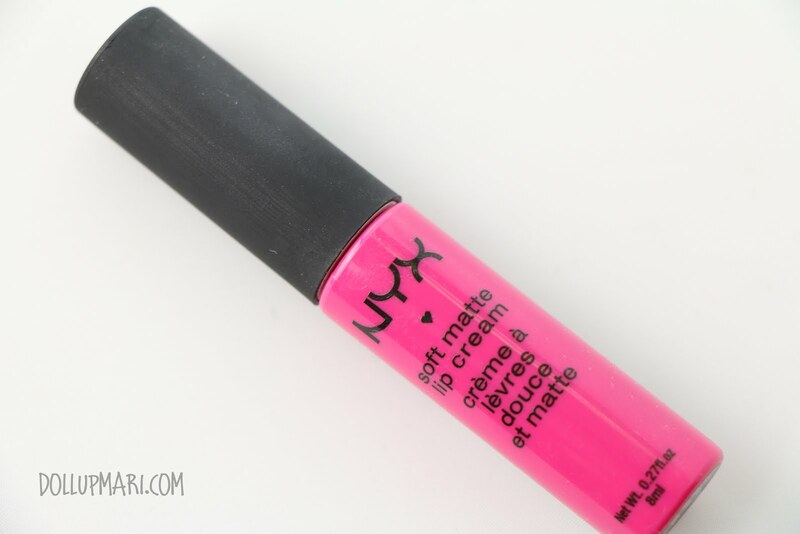 I personally decided to buy this because the color reminded me a lot of MAC's Candy Yum Yum lipstick. And it does resemble Candy Yum Yum. 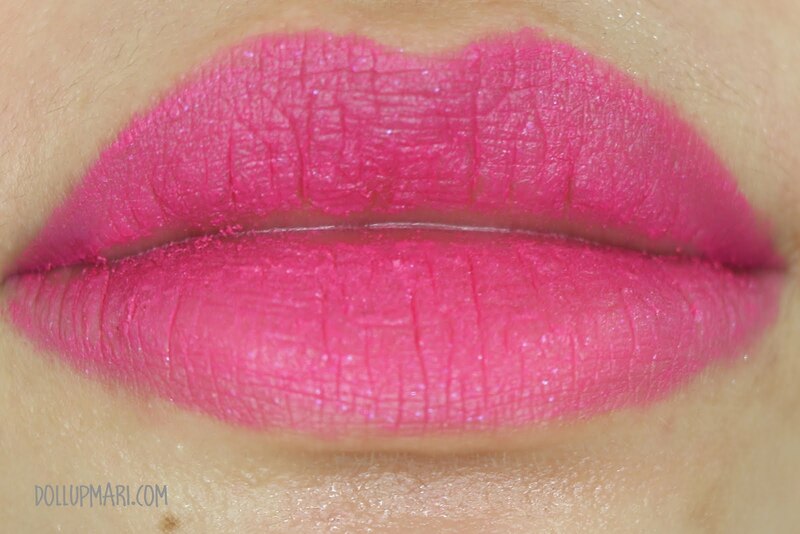 This shade is a bright neon pinkish fuschia. It is less candy ish than Candy Yum Yum, being a bit darker, but at the same time it's also more intense with the vibrance of the fushia tint it has. If you check out the wand at first glance, it really looks waaay darker than when applied. It looks like a vampy kind of pink, actually. 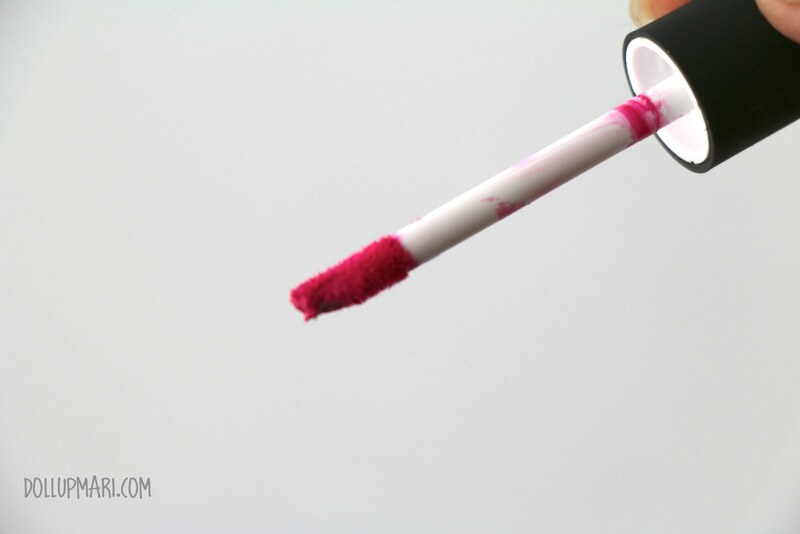 But the moment you swatch it, you'll see that it's actually a really vibrant color. And if you apply it thinly, it's a really bright color. It only loses its brightness if you pack on a lot of it that the color becomes super saturated. This is the swatch with flash. As for why it's shiny it's because in this photo it was really freshly applied. In real life, if you leave it to dry for a few minutes, it will dry to this matte, velevety finish. And this is how it looks like on the lips. The first lip swatch is my normal lips, the second swatch is with the camera on fish eye mode. I love the instant plump up! 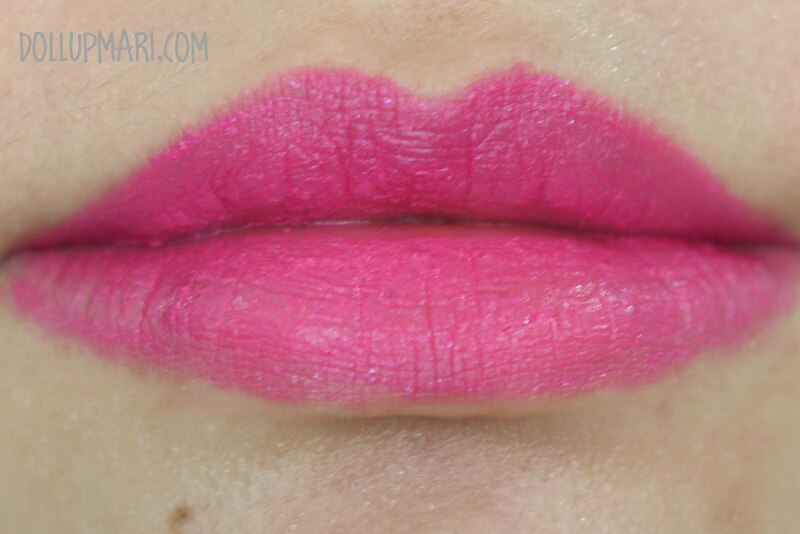 BUT, what I do like about this color is that it's soooo shocking that on lazy days, I wear just this product alone and it turns all the attention away from my un-dolled face and onto the lip color itself. It makes my lips the focal point of my whole face. What's your go-to lippie for lazy days? Please do tell me in the comments box!